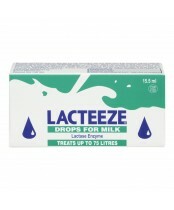 With the forward thinking vision of Bill and Dorian Kingsmill, Lacteeze Ltd was incorporated in 1984 to help the people suffering from lactose intolerance. These people were not consuming dairy product and their diet was lacking in adequate levels of calcium that eventually resulted in osteoporosis. Today, many people all over Canada and the world are enjoying Lacteeze products.